As usually many of the models come in different color. And color – is the main element of determining the style, especially in plastic models. You may also notice that some of the models have a hint on cat eye shape with raised corners. Gucci is positioning themselves to appeal to younger market, people who are trendy, but in the same time value brand name appeal and quality. These recent models are made in this strategy in mind. 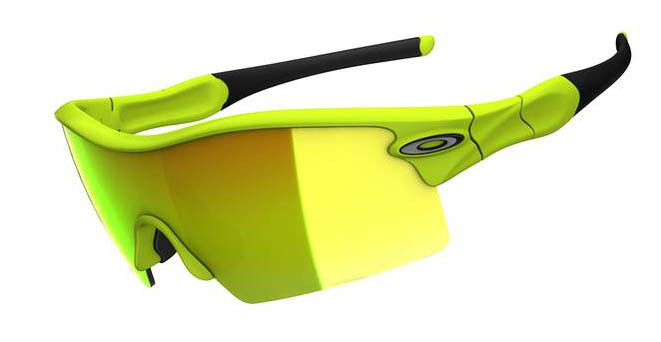 Following the overview of ophthalmic frame trends for 2011, we can’t wait to tell you what’s new for sunglasses. Unlike prescription glasses, that still in the bottom of mind are considered health items by many, sunglasses are all about fashion. General fashion trends are often passed on to sunglasses with each season. Sunglasses are also often worn by models during the runway shows. Here are some notable similarities for Spring 2011. Cat Eye is super big this season. There were few first movers last year testing the market. This year almost every fashion forward brand name has their version of cat eye. These shapes have a potential of becoming all time classic and we feel will stay current for the next 5 years at the very least. Presently you will find many variations of cat eye, more balanced and fitted for different face types. Some sunglasses models are even made with catty color to emphasize the idea – this for real fashionistas. This year we noticed that there are much more unisex options than before. It is possible that the trend got influenced by slowing economy where ladies had to say no to many luxuries. Also, with continuous increase of woman joining men at work and putting on pant suits, more sunglasses are made to compliment this style. You already have a black pair of sunglasses, a tortoise and even white. Now is time to get something less conservative. Get printed pattern. Your favourite square or rectangular shape is still on, but with a stripy or animal print pattern it will look updated and so Spring 2011. Sunglasses have been getting bigger every year in the past few years. You hardly can even find narrow rectangular shapes and even those are kept mainly to fit prescription lenses. Anything fashion is now big. Big rounds, big squares, big aviators, big shields. What is notable this year is the minimal decor. Many models of 2011 are kept simple, with little decoration and narrow temples. Heavy bridge is big for men frames in 2011. This is probably one of distinguishing elements on homme-only frames. And even with unisex being so big this year, these frames won’t look good on many women, so men got something for themselves. Look for heavy bridge when shopping for men sunglasses this year. Spring of 2011 is a true season of interesting innovations in prescription glasses trends. We made observations from a number of premium brand collections and have spotted similarities that hope you will follow. Clear frames have definitely kicked in. If you prefer plastic glasses over metal but always looked for something lighter on your face, clear is the way to go. Put these on and you will get a “disappearing” effect, similar to rimless. In the same time these glasses look dressy and unusual. These are a definite compliment sucker. 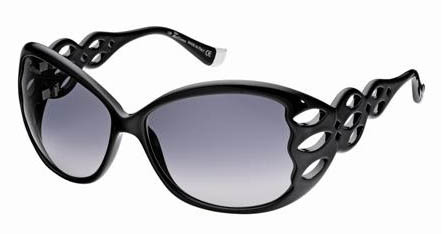 This intricate eyeglasses shape was slowly getting introduced back to the market through few sunglasses models in 2010. But not many expected that 2011 will became a real boom of cat eye shapes. Almost every premium designer has their version of cat eye glasses. While glasses may look a bit wild on the shelf, you should definitely try them on to see the result. The uplifted side corners open up eyes quite nicely on many face types and look especially good on round and square face shapes. Due to popularity of this shape this year, we added it to the menu for you to quickly find cat eye prescription glasses and cat eye sunglasses frames on our website. By now people got used to black heavy geeky frames that no longer see a barrier in any of age or status categories. Some companies experimented with adding elements of decor to the temple and front of the frame to make those more appealing and girly. Navette is a real novelty of this year with few companies introducing their first versions. We expect much more next year, so if you are a first mover getting navette shaped eyewear will guarantee you first place on “Most Trendy” list. Disregarding whether you are into fashion or not, this shape will look great if you have a small face. Also looks great on Asians. Plastic frames remain all time favourites for many people. Fashion brands agreed to experiment with the color also offering two tone lamination options. Result is actually quite nice especially when light color is on the inner side illuminating the face from the inside. Another interesting looking option with two tones gradually flowing vertically or horizontally. We welcome you to visit our site to find more options for each trend. Search glasses by shape, by color, material type in the menu. Also, if you are after 2011 year collections simply type “2011” in search field and then sort by brand or category. Following a very successful 2010 year, Gucci is continuing to do designs that are both suitable for many people and fashionable. In 2011 Gucci took a safe path in choosing colors. Black and their best seller Tortoise, make most of their collection color tone and will suit people of any skin and hair color. Logo design has not changed since last year, and bright gold or gunmetal silver is still a signature on most of the frames. Here are some 2011 frames that you should have a look at before shopping for any other brand. Cat Eye. Cat Eye Gucci 2891 and Gucci 3162. These are the only cat eye frames from Gucci this year. Again, Gucci tries to remain conservative catering to majority, but as a fashionable brand they did follow the 2011 cat eye mania and released their version of it, one metal and one plastic. Bold Square Shapes are dominant. We already see that ladies enjoy what was supposed to be men models, among them Gucci 1648, Gucci 1945, Gucci 1641 and Gucci 1943. These models come in a variety of colors and will look amazing on both guys and girls. Feminine Bold Squares. Of course, ladies first… so Gucci, understanding that ladies love big logos and wrapped around fitting, released these models to satisfy beauties that want latest 2011 square trend. Gucci 3170/S, Gucci 3170/N/S, Gucci 3169/S and Gucci 2892/S. Bold Aviator. This is not a sweet, classic aviator any more. It is a military inspired, wide, thick aviator that is covering bigger part of your face. Gucci, along with Dior and Prada are setting this trend for 2011. If you want something new, here your go: Gucci 1639, Gucci 1944, Gucci 1566 and Gucci 1889. Updated 2010 models include Gucci 3159, Gucci 3161, Gucci 3163, Gucci 3164. Last year Gucci totally rocked outselling big brand names such as Chanel. This year they are clearly set to win and instead of reinventing the wheel they updated a number of models without any trend following, just keeping their main colors and shapes that sold well. Want to see more, visit our online eyewear store and type in search 2011, then choose Gucci in brand to see new Gucci Sunglasses and Gucci Glasses models. Have you ever wondered what other color glasses you like come in? Many retailers won’t tell you the truth because they want to sell what they got in stock. Did you ever walked in the store and started scanning for the color of your interest thinking “I know only brown looks good on me”. Things become even more complicated when color you like is very unpopular such as red, orange or green. We sorted all frames by the color, so you can now search sunglasses not only by shape and material size, but also by color. To make your life even easier, we let you sort by brand further. Say, you want black Guccis or black Diors, you can do this with one click of a button at Eyeinform store. Dior sunglasses have always been carrying image of chic. It was fundamental to Christian Dior style to use lots of jewelery in his ready-to-wear collections, even during the tough times of post war recovery. Dior sunglasses collection to date remains true to this idea. Christian Dior was also master of shapes and silhouettes, and similarly Dior sunglasses collection has a variety of beautiful shapes that are timeless and in the same time decorative and elegant. 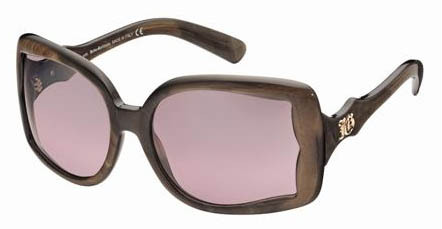 Gucci has hit a popularity record in 2010 with their Gucci ladies sunglasses. After many years in business, Gucci decided to play it safe in a recession and avoid bold experimenting with shapes, sizes and colors. Not that they went conservative, they simply applied more thinking into fitting last year to make each pair of sunglasses sit well and look 100%. Of course, each pair conveys Gucci style and brand – premium and chic.